Naturally strengthening your immune system can feel like a science. It can be difficult to try and balance a modern lifestyle with a healthy diet. New superfoods and health trends seem to be constantly coming and going. Knowing which sources to trust to maintain a healthy body can be stressful. One food or extract, to be precise, is d-Lenolate. An all-natural olive leaf extract supplement. It has been carefully researched over the past 20 years. The results consistently suggests positive results with no apparent side effects. The healing properties of olives have long been known and utilized by ancient Romans and others along the Mediterranean Sea. However, it wasn’t until the early 2000s that the healing benefits of olive extract became a serious topic among professionals. Backed by over 20 years of production, d-Lenolate has been shown in numerous articles and peer-reviewed studies. It’s extracted from the Olea europaea species of the olive tree. The results being an extremely potent antibacterial, antifungal, anti-inflammatory and antiviral compound. This is significant because this is an all-natural, safe-for-any-age, drug-free solution to many ailments, from the flu to diabetes to herpes. With its ability to strengthen the immune system and fight infectious diseases, d-Lenolate may be the most important underrated extract on the market. D-lenolate can be extremely beneficial at preventing flu and cold symptoms. This is perfect for the upcoming cold and flu season. Many modern diagnoses involve expensive drugs that people are required to take indefinitely. Then those drugs cause side effects. So, more expensive medications must be purchased to counteract those side effects and the headache just keeps repeating itself. D-Lenolate is a great alternative that can help stop the cycle. For other natural solutions to protect yourself click here for our 5 tips to naturally protect yourself from the flu. For diabetics, d-Lenolate® may be the answer that changes their lives and reduces reliance on expensive medicines. Studies suggest d-Lenolate alone can reduce blood sugar levels by 105 percent with no apparent side effects. Compare this to the typical warnings on the side of an insulin bottle. The benefits don’t stop there. Research performed at the LSU Division of Biotechnology and Molecular Medicine showed that d-Lenolate significantly outperforms competing Abreva and PBS. Effectively treating the herpes virus and symptoms related to healing sores and blisters. Also working faster than leading products on the market. The extract was also shown to prevent herpes sores from forming without any apparent side effects. These extraordinary results were repeated in several studies of STIs, including the HIV virus. 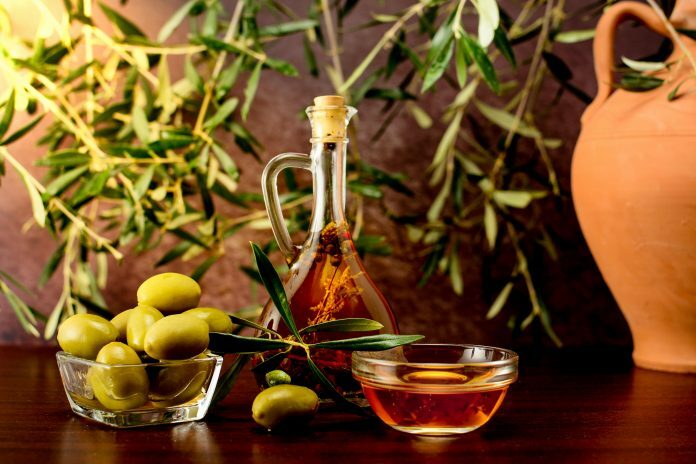 The National Institute of Health concluded that oleuropein, extracted from the olive leaf, may inhibit the ability of the HIV virus to replicate in the human body. When olive leaf extract was combined with a healthy diet to nourish and detoxify the body, the results showed the effects of the virus were reduced or stopped. And those are just a few benefits. Many people ranging from healthy to those with various health conditions have reported experiencing positive benefits as a result of taking olive leaf extract. From promoting a high-functioning immune system to providing relief from various chronic ailments. D-Lenolate was consistent in helping people. Even illnesses that appear to have a more physical component to them, such as arthritis, have been shown to be impacted positively by olive leaf extract. This is because of it’s ability to ease pain and reduce inflammation. As the research continues to pile up, it may be worth it to experience the benefits of a bottle of d-Lenolate® for yourself. For further reading, click here to read about This One Thing Has Been Linked To Almost All Diseases!